We all want the best for our elderly loved ones, but in many cases, we simply cannot provide it to them without help. We have work and many other responsibilities that may require us to be away, thus, not being able to provide the care our loved ones deserve. 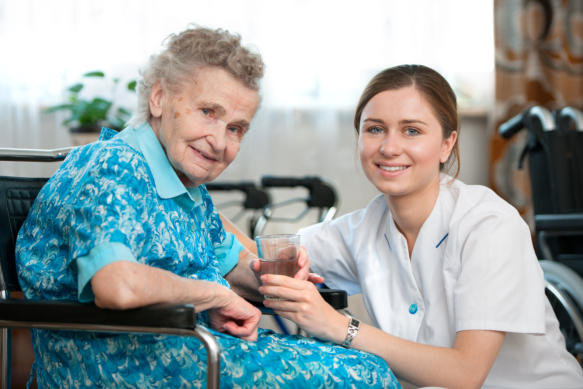 This is where a non-medical home care in Winter Haven, FL can help you out. When you cannot be there round-the-clock to ensure that your loved one is receiving the support they deserve, then you may want to consider providing them personalized companionship care in Florida. Through our services, we will strive to meet all of the needs of your loved one so they can live the lifestyle they love in the comfort of their home. We will also work with you in providing the best care possible. One of the best kinds of home care services you can offer your elderly loved one who still lives an independent life is homemaking. Through this service we will actually handle all of the many day-to-day chores such as cleaning, taking out the trash, doing the laundry, handling errands, and more. These are tasks that can seem quite mundane but can become a huge source of stress that can leave your loved one with little to no time to dedicate towards the things they love. When you cannot be there as often as you would like, it is important to have a caregiver keep an eye on your loved ones. We offer exceptional personal care services that are personalized to meet their unique needs. We can help them with a number of activities such as moving around the house, bathing, eating, getting dressed, and so much more. Through this service, we can help your loved ones maintain their independence in the comfort of their home. Those are just a few of the many different things that you will want to keep in mind when you are looking to provide the care your elderly loved ones deserve. If you would like to find out more or if you are interested in our superb services, please feel free to contact us at Compassion Home Care for more information today. This entry was posted in Senior Health Care and tagged Caregivers, Companionship, Home Care Services. Bookmark the permalink.